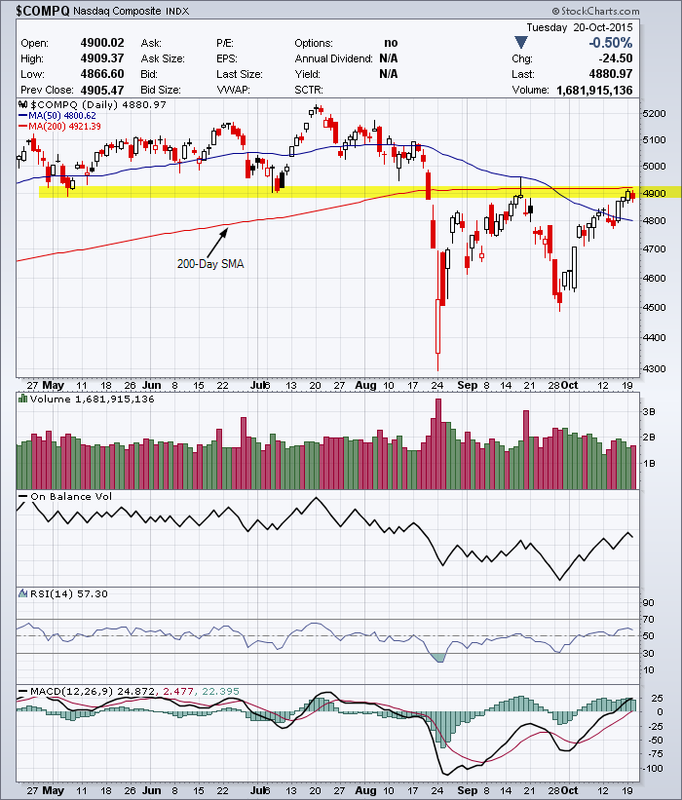 This entry was posted in U.S. Indexes and tagged nasdaq on July 14, 2018 by Trader. This entry was posted in U.S. Indexes and tagged chart, nasdaq on December 17, 2017 by Trader. This entry was posted in U.S. Indexes and tagged candlestick chart, major support, nasdaq on February 7, 2016 by Trader. This entry was posted in U.S. Indexes and tagged candlestick chart, nasdaq on October 20, 2015 by Trader. 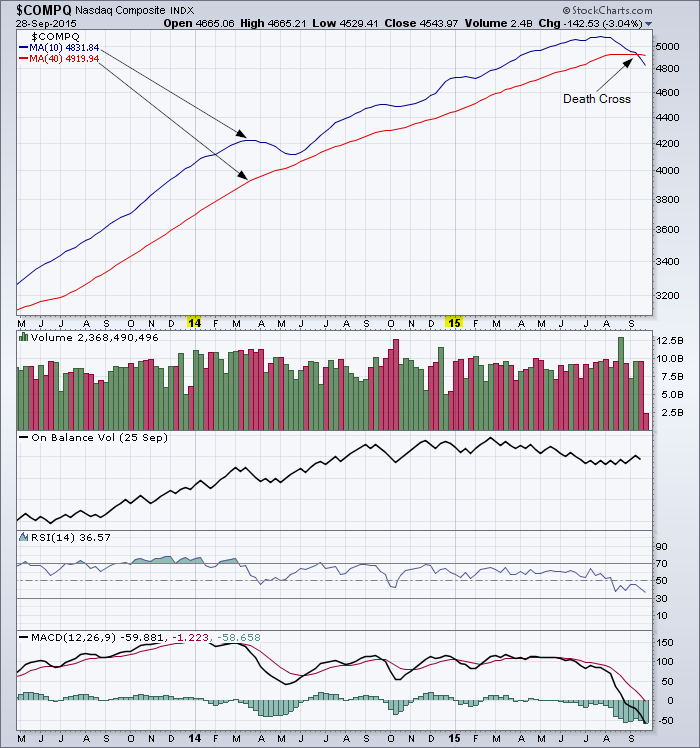 This entry was posted in U.S. Indexes and tagged candlestick chart, death cross, nasdaq on September 29, 2015 by Trader. 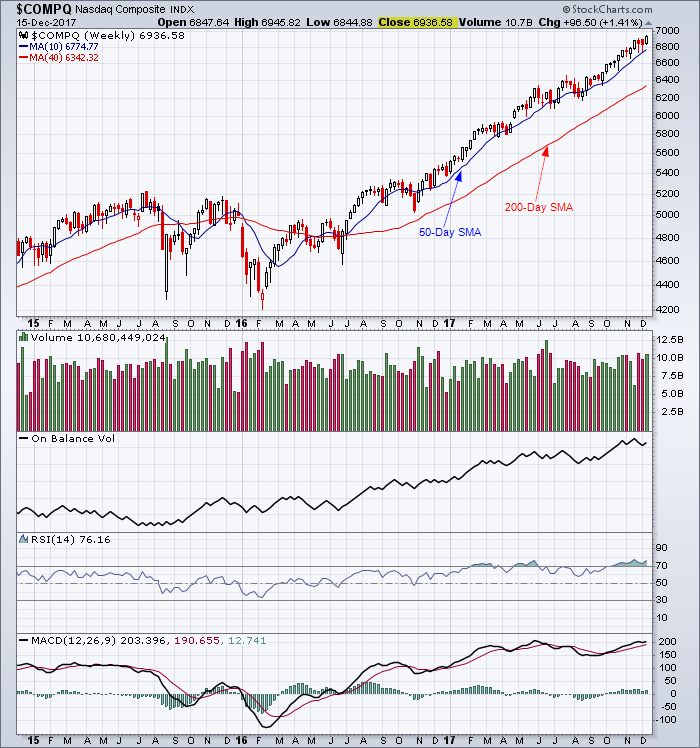 This entry was posted in U.S. Indexes and tagged chart, nasdaq on April 10, 2014 by Trader. 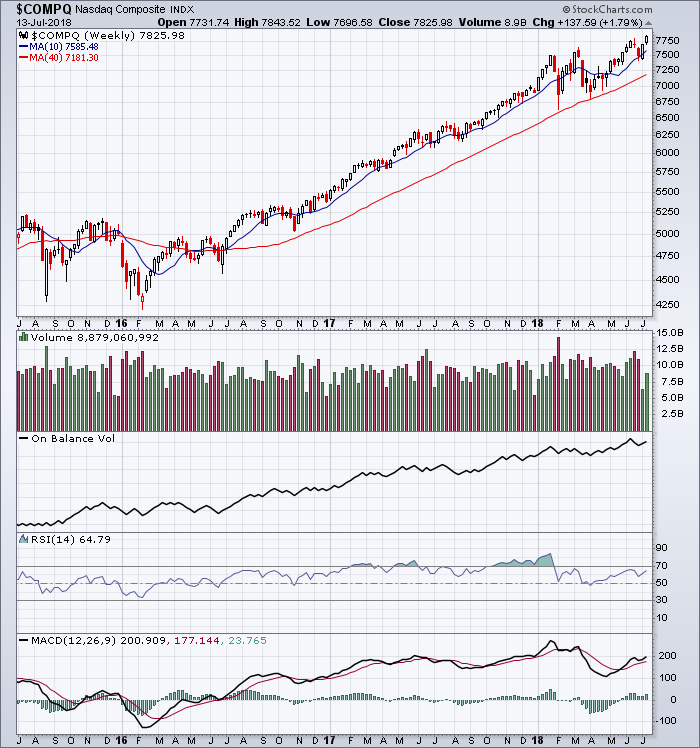 Can the NASDAQ Index break 2,880? The NASDAQ is still in a good position for another test of major resistance at 2,880. There needs to be an increase in volume and a convincing two-day close of around 2,940. This would indicate an intermediate target of 3,160. 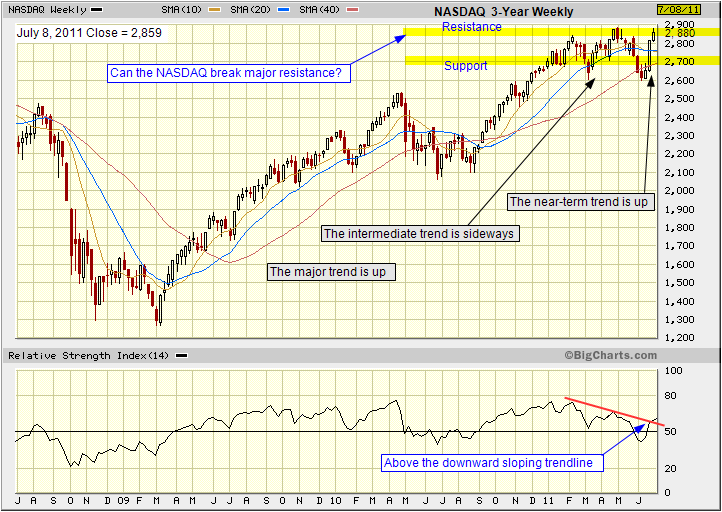 This entry was posted in U.S. Indexes and tagged candlestick, nasdaq, trend on July 10, 2011 by Trader. 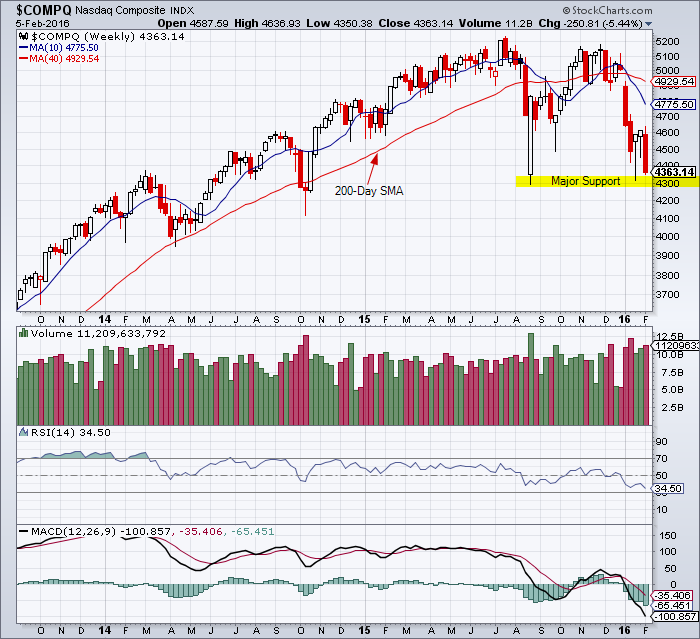 A short-term bounce and back to a lateral trading range? Or the start of a new uptrend? The tall bullish shaven head candlestick is a graphical representation of the major move of 6.1% for the week of June 27, 2011: it doesn’t get much better than this for a weekly gain in a major index. The NASDAQ is in a good position for a test of major resistance of 2,880. A convincing two-day close of around 2,940, would indicate an intermediate target of 3,160. 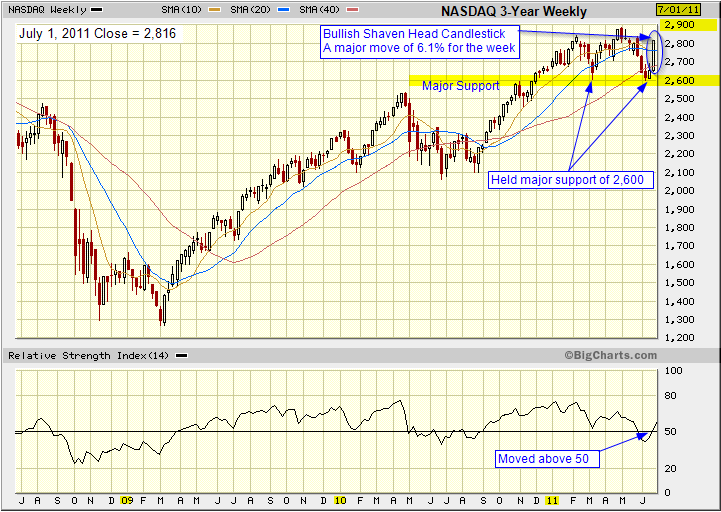 This entry was posted in U.S. Indexes and tagged Bullish Candlestick, nasdaq, Technical Analysis on July 4, 2011 by Trader.